Author: Zubro, Mark Richard Set In . . .
Boys4U is the world's most popular singing group - at least among teenaged girls - and they have closed out their sold-out world tour with a series of shows in Chicago's brand new arena. The premier group of the inexplicably popular "boy band" trend, they've just finished their very last concert of the tour. While hundreds of tour members, well-wishers, label executives, and various hangers on wait to celebrate another wildly successful tour, the lead singer is found murdered - shot in the back of the head at close range - in the shower of the backstage dressing area. To make matters more distressing, the crime itself was almost impossible - there was tight security on the shower area at all times, the only other people back there were the other members of the band, and none of the dozens of people in the next room report having heard a shot. 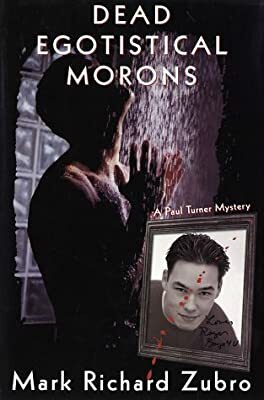 While the international press is engaged in an unprecedented feeding frenzy over the sensationalistic murder, Chicago Police Detectives Paul Turner and his partner Buck Fenwick have pulled the unenviable task of investigating the murder. But even the initial appearances are deceiving and as they dig deeper into the case, they uncover more disturbing truths beneath the wholesome façade of Boys4U. Now they have untangle an increasingly complex web if they are to stop a determined killer before more victims are claimed.